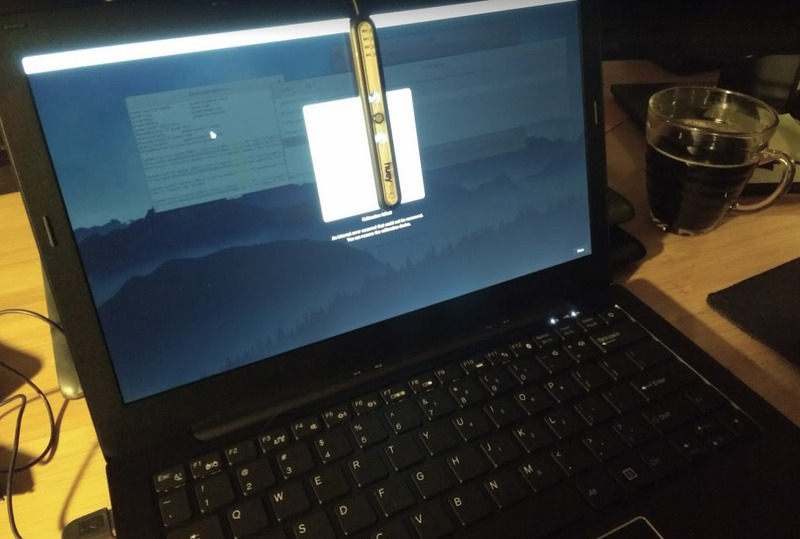 Connect a PantoneHueyPro colorimeter via USB, then launch Gnome-settings, click on the screen and press "Calibrate". The process starts, I position the colorimeter on the screen and I press a key to continue. The color calibration process crashes during the process. 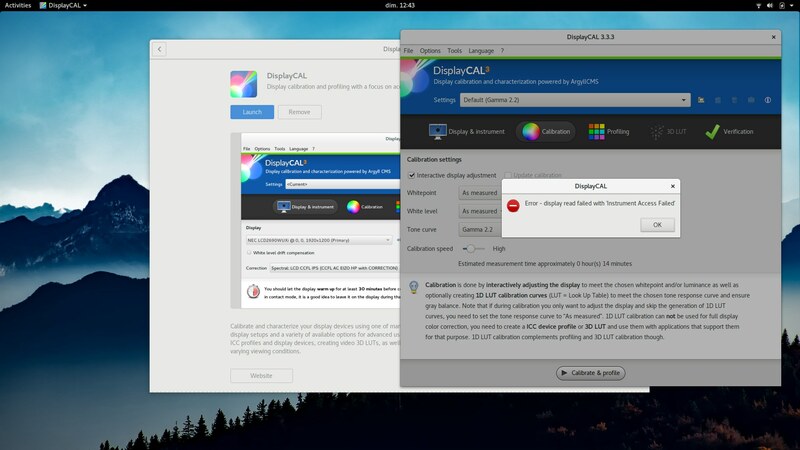 Unfortunately, an issue also affect DisplayCal , the GUI I use as an alternative to calibrate screen. first of all, nice to have you here. Can you update first entire system and fix broken packages as suggested by the command you got in terminal. Also that can be an issue with Wayland session atm (it will be fixed if that is the case), so you can try on login screen to switch to X session. Thank you. Nice to meet you too! The message you see on the screenshot (for the install of Zim) is just the package manager complaining I downgraded a single package for trying the workaround of https://tracker.pureos.net/T187 ; I did the system update, same result. 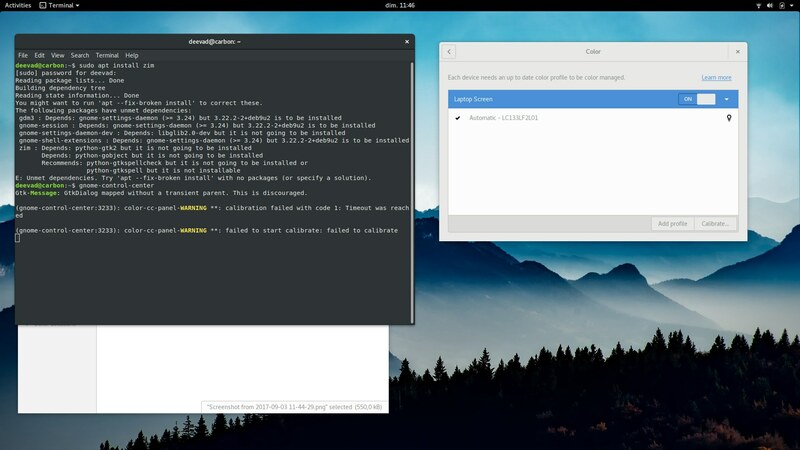 Not sure if relevant for this issue (seems you isolated the issue from the GUI tool) but might be: Do you use the Debian packaged DisplayCAL from the package dispcalgui? @zlatan.todoric : This one is not fixed, even with a fresh OEM PureOS ( I just tested). If I connect a colorimeter ; the Gnome "color" GUI appears, I can stick my colorimeter on my screen but it still fails after launching.